If you need to get from Samui to Phi Phi you are moving from the top island destination on the east coast to one of Thailand's most iconic islands on the west. 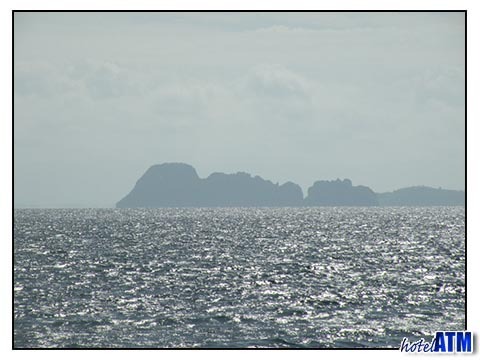 To do this you must cross the Gulf of Siam, the thin strip of mainland and take a final ferry journey to Phi Phi Island. The journey from Samui to Phi Phi takes less than a day but, as with all island hopping, can take it's time. You can go overland, (boat-bus-boat) or by air to Phuket Island and then down to Phi Phi (bus-plane-bus-boat). In many ways, there is a large change of holiday experience by going from Samui to Phi Phi. Samui is on the Gulf of Siam and is a much larger island than Phi Phi with a far greater variety of excellent and luxury resorts to stay in. It also has large village like mini towns like Chaweng where you can experience a whole range of dining, nightlife and a vast array of activities. As the Phi Phi Island habitable area is so small and mounatins cover the rest, there are no cars and everybody walks or takes a boat. The 20 km of reef and the striking cliff scenery make this a water based holiday destination where diving snorkeling and beach hopping dominate the list of things to do. Having said that, Phi Phi Don Village is a great centre for cafes, restaurants and beach bars. Samui to Phi Phi overland. Getting from Samui to Phi Phi overland requires you to get a 'joint ticket' (the name used by the travel agents in Thailand) that includes the bus pick up from your hotel at 07.30 to the Samui Pier for the ferry to Donsak on the mainland. The bus arrives at Krabi ferry terminal at 14.00 in time for the last ferry to Phi Phi. The ferry arrives at the main pier at 16.30. Samui to Phi Phi needs you to go via Phuket International airport. Samui Phuket flights are 4 or 5 times a day all year but you must take the first 2 flights that depart at 08.05 or 11.00 to get the ferry from Phuket Rasada Pier to Phi Phi. If you take the later flights you will need to book a private speedboat or perhaps take a Phuket hotel near the ferry terminal. If you are trying to go from Samui to Phi Phi luxury resorts you will need to take a further boat ride to the quiet Loh Bagao or Laem Tong beaches where you will find the best bungalow resorts on Phi Phi. The Zeavola Phi Phi Resort, Holiday Inn Phi Phi Island and Phi Phi Island Village Resort And Spa are the finest that Phi Phi Island offers and a stay here gives you the atmosphere of a get a-way retreat with some breath-taking scenery. Although these resorts are 20 minutes from the main village by longtail boat taxi they are equally close to the National Parks out at Bamboo Island and Maya Bay, the jewels of the islands. The Samui local population are descendants of the Malay and Chinese coconut growers and rubber tree tappers that settled there about 350 years ago. The original Phi Phi inhabitants are predominantly Muslim fishermen and cashew nut farmers. The history and religion of the local people create an interesting contrast between the island destinations that is felt in the demeanour and style of service. Both islands are worth visiting.